MEDICAL COSTS SINCE FEBRUARY 2013: $1,789.24 PLEASE CONSIDER MAKING A DONATION! 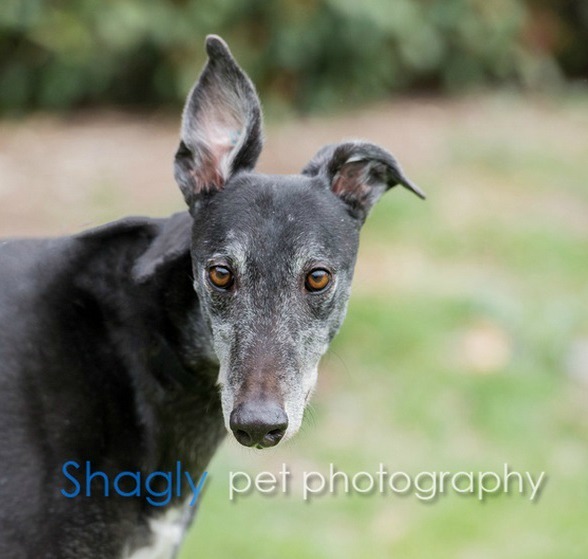 Shadow, aka DLT Showdown, is a 6-year-old black male born December 26, 2008. His sire is Dodgem By Design and his dam is Whistler's Kick. Shadow has just 5 races to his credit on Greyhound-data.com, all at Gulf Greyhound Park in November and December 2010. Is Shadow destined to be your Shadow? Shadow is not cat tolerant at this time. Shadow had the second toe on his right hind foot amputated on February 26 by Dr. Jeff Ellis of VCA Preston Park Animal Hospital due to chronic inflammation. A biopsy was sent off and results are pending. An x-ray at the same time of Shadow's right hock shows a previous plantar ligament rupture. As soon as his foot heals from the amputation, he will be referred to Dr. Bob Radasch of the Dallas Veterinary Surgical Center for an evaluation of his right hock. Shadow's biopsy of the amputated toe showed acute inflammation. He is being kept on pain meds and antibiotics at this time. He is also currently undergoing treatment for corns on the bottom of his pads with Dr. Dennis Crow of the Animal Dermatology Referral Clinic. He is taking daily medication as well as periodic hulling of the corns. It is hopeful that the corns will subside in time. Shadow continues to be treated for chronic pain in his right front foot. Shadow continues to be on pain medication. The special medical treatment cost needed by Shadow is why the Miss Mesa Fund was established. If you would like to help with Shadow's care, please take a moment to make a donation to the fund. You can use a credit card, check or PayPal by making the donation through the GALT GreytStore. You can also write a check (Greyhound Adoption League of Texas, 3400 Carlisle St, #310, Dallas, TX 75204) and note Miss Mesa Fund/Shadow on your check. 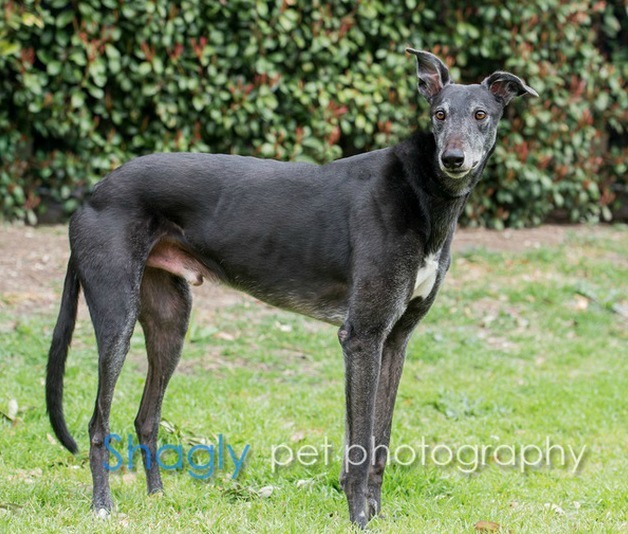 You WILL and CAN make a difference in Shadow's life and the lives of other greyhounds in need of special medical care. Your help and support will make a difference... one greyhound at a time.